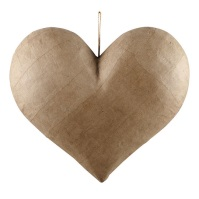 Bring together an ACH team and show your thoughts on compassion by decorating a 12" paper mache heart. We supply the heart – you provide your own decorating supplies. All hearts will be displayed in the cafeteria during Patient and Family Centred Care Week (Nov 6th-10th). The winner will be announced at the PFCC Week Celebration at noon on November 10th. All hearts will be displayed during Patient and Family Centred Care Week in the cafeteria. Staff, patients, and families will be given the opportunity to vote for their favorite. A judging panel of staff and patients and families will judge the entries on Thursday, November 9th. The entries will be judged based on conceptualization, connection to compassion, appearance, originality, and team involvement. The winner will be selected based on 50% voters favorite and 50% judging panel selection. The winner will be announced at the PFCC Week Celebration on Friday, November 10th from Noon to 1:00 PM in the auditorium, presentations at 12:15 PM. Everyone is welcome. Please send at least one representative from your team to this event for the award presentation. The winning team will receive the Compassion Challenge trophy and a coffee party for the team.